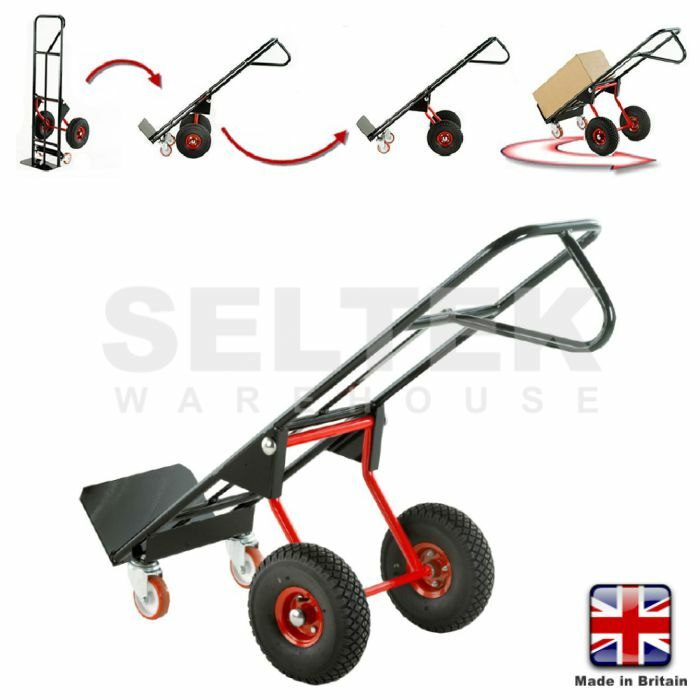 This innovative new product is the worlds first and only self-supporting sack truck. This patented product is brand new to the UK market place. Allowing you to work safer and smarter, the high kick bar on the sub-frame enables the sack truck complete with its load to tilt to 45° angle. The sack truck supports the entire load weight reducing strain on the user and allowing hands to be free to open doors and move around with ease. The sack truck loads in the upright position like standard sack trucks.